Six people attended the clinic I gave Saturday night in the Uberfall. 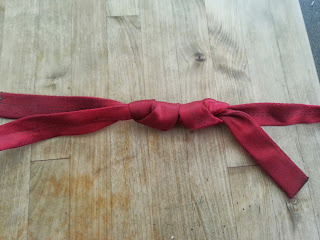 The main discussion topic was "knots for joining rope and webbing". We also discussed friction hitches, rappelling and a bit of toprope anchor management, but a large portion of the time was spent covering different knots for joining rope ends. The flat figure eight, which is similar to a flat overhand, but uses a figure eight, is less desirable and more unpredictable. It really should not be used at all. It rolls more easily, uses more tail as it rolls, and it's a bit harder to dress properly. 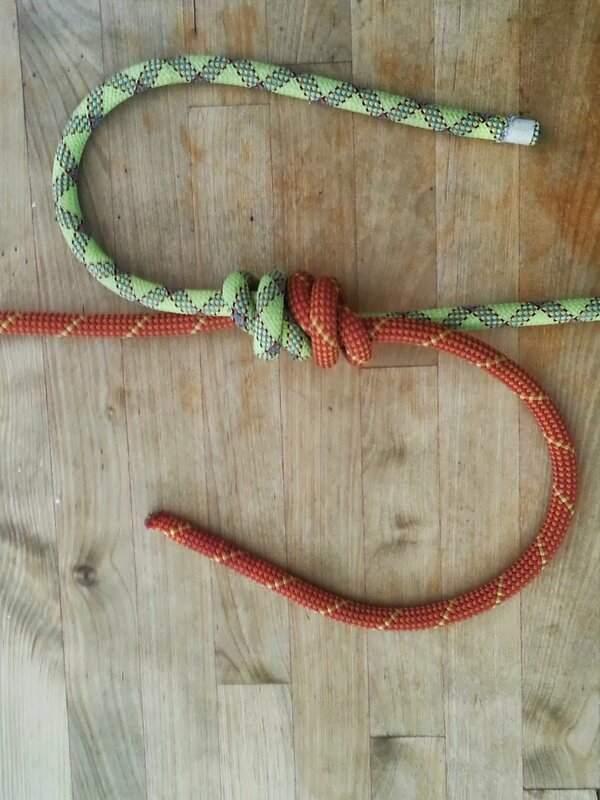 Many rappel accidents or rappel anchor failures have been recorded while using this knot. It's unstable and it rolls easily. The double fisherman's knot, is another good all-around option for joining rope ends together in any scenario. 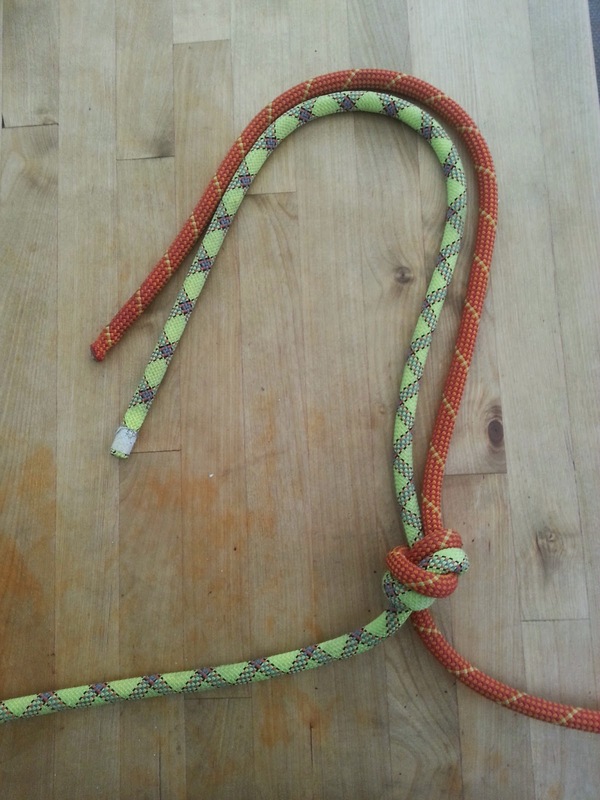 Even the sloppiest dfk's stay tied properly and don't fail prematurely or unpredictably. 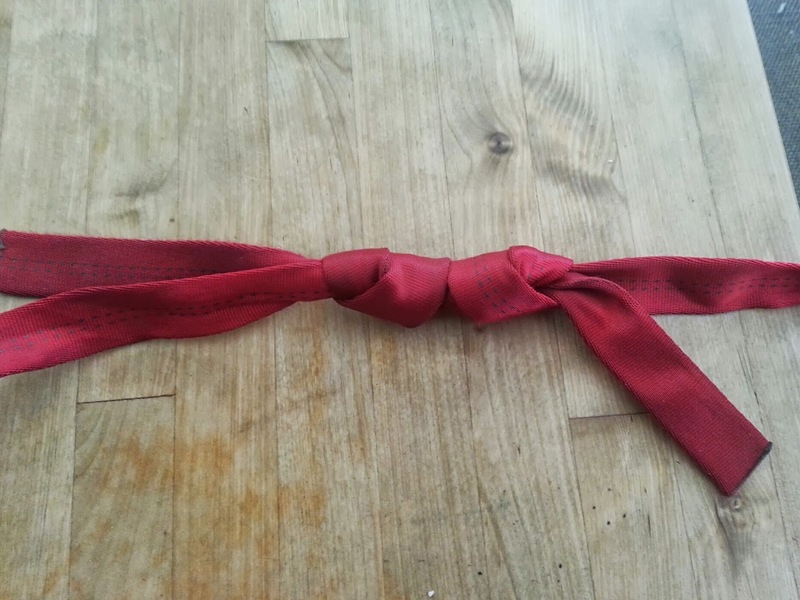 It is hard to untie, making it a good choice when you want the knot to be permanent. 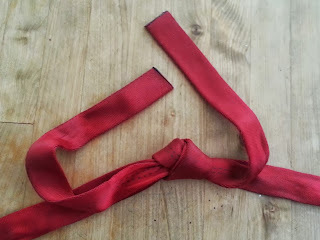 Good for joining ends of cordalette, canmot be untied easily. You'll need to cut the cordalette to leave some behind. The water knot, is a good choice for webbing when you want to untie the webbing afterward. 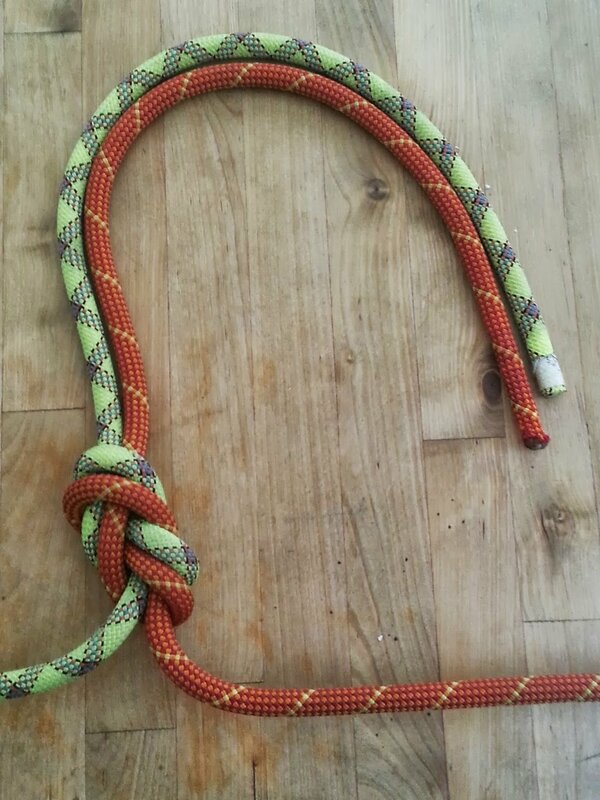 As I've mentioned in past posts, the water knot slips through cyclic loading, making it a bad choice for webbing on rappel anchors in the Gunks that see hundreds of rappellers each weekend. 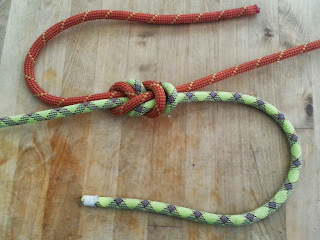 Bad for tying webbing on rappel anchors, where the webbing will become permanent, because of slippage during "cyclic loading"
This knot is good to use when tying webbing together. It's strong, it's permanent, and it will nearly always hold despite the fact that it looks sloppy. Good for joining webbing ends for permanent use, like rappel anchors. Good for reslinging cams if you're going to do that by hand. Ryan Stefiuk is an AMGA Certified Rock Guide. If you like what you see here consider hiring an AMGA trained and certified Rock, Alpine, or Ski Guide.